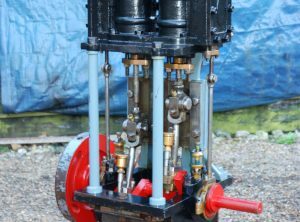 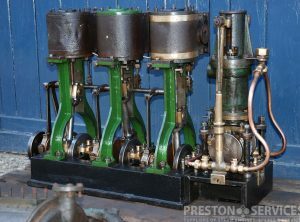 This exceptionally finely made engine is on turned columns with slide valves on HP and LP cylinders, with attached feed pump. 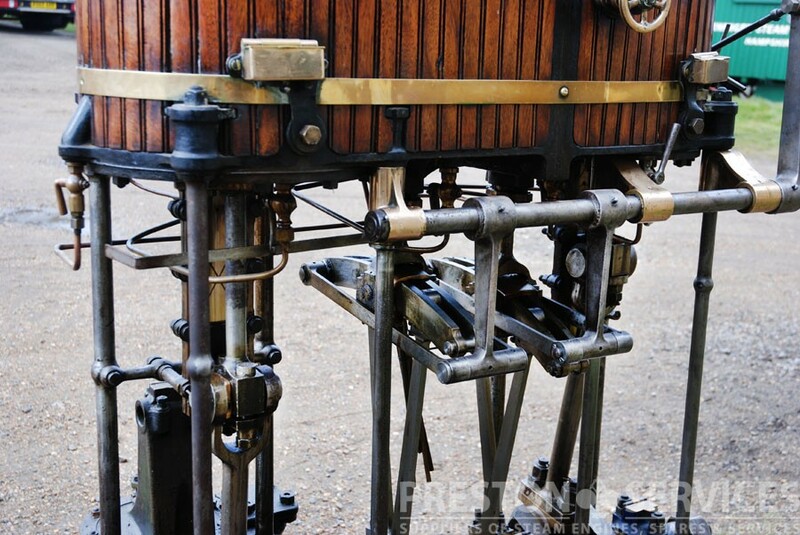 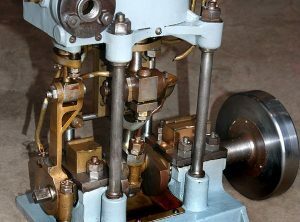 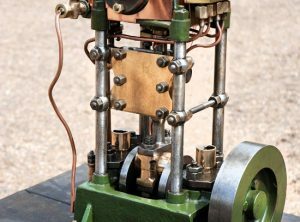 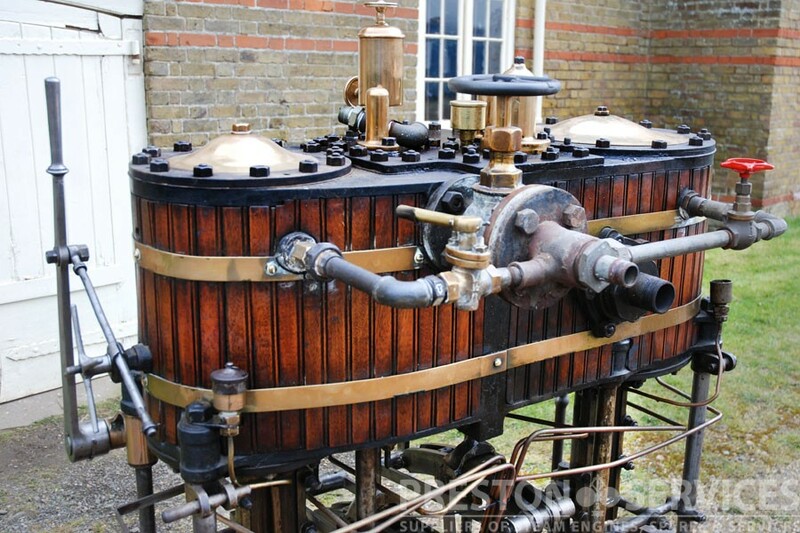 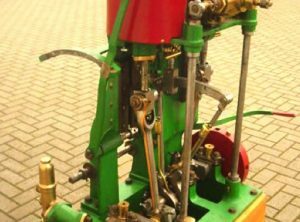 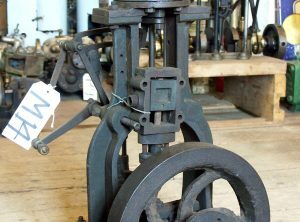 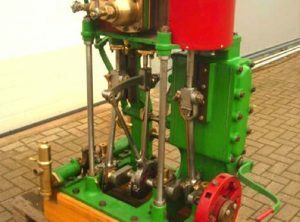 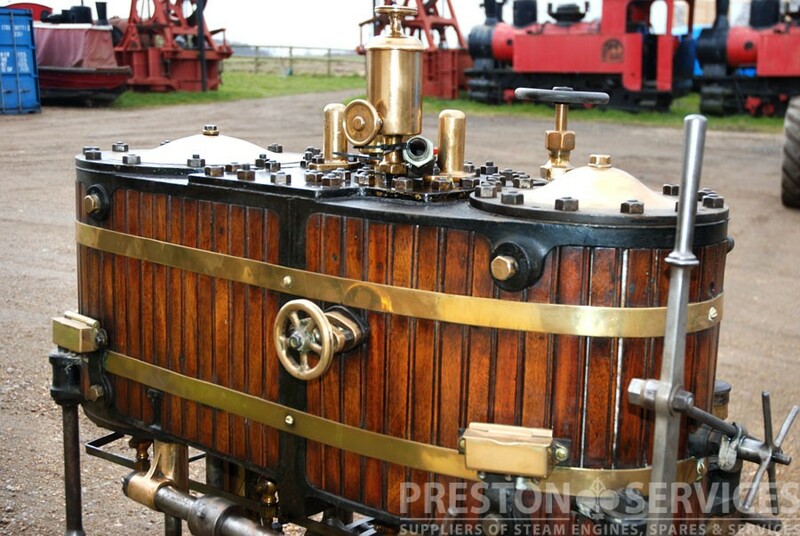 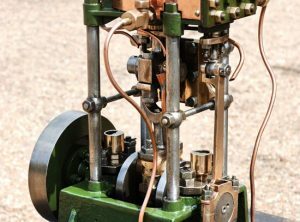 A small, single cylinder steam launch engine of elegant design. 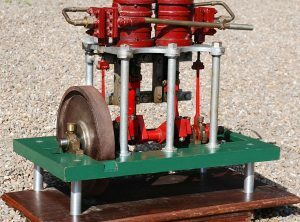 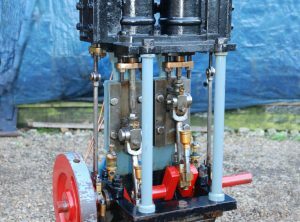 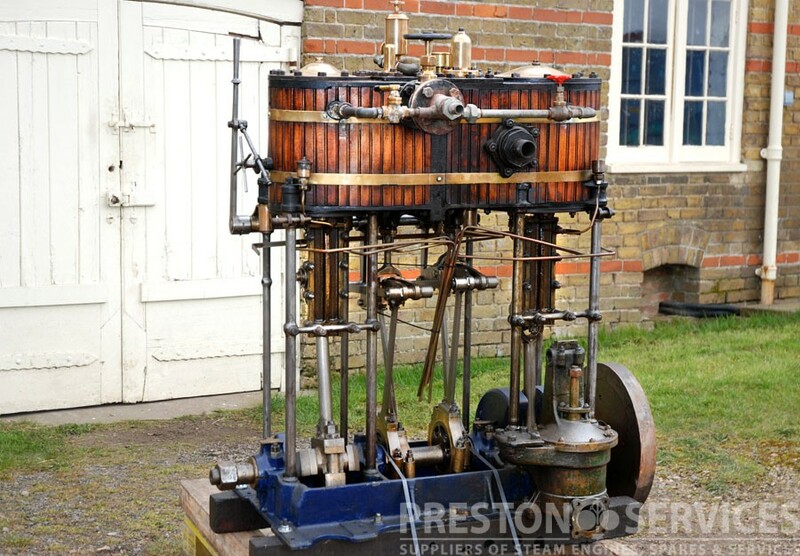 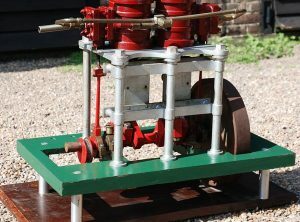 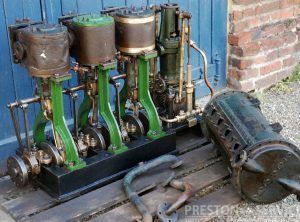 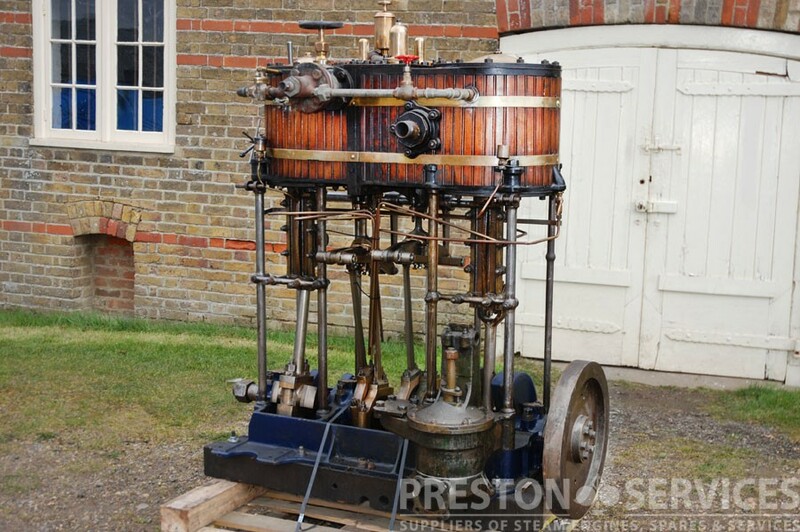 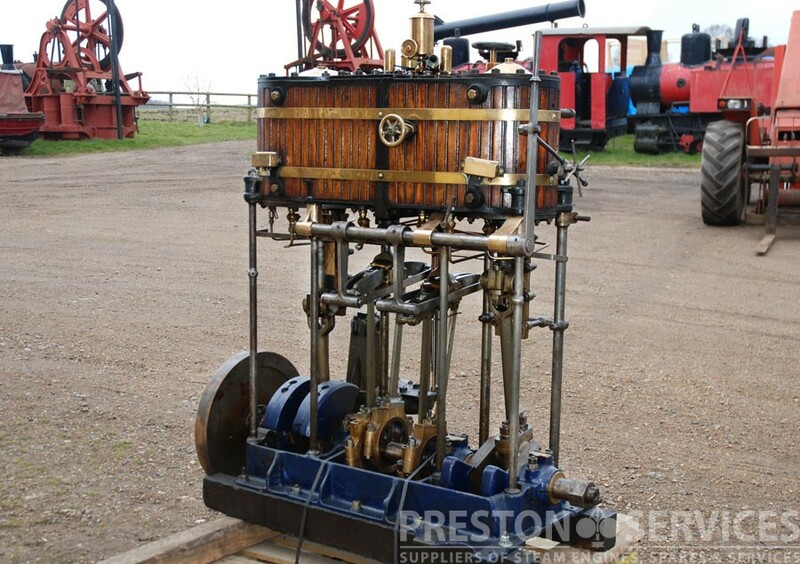 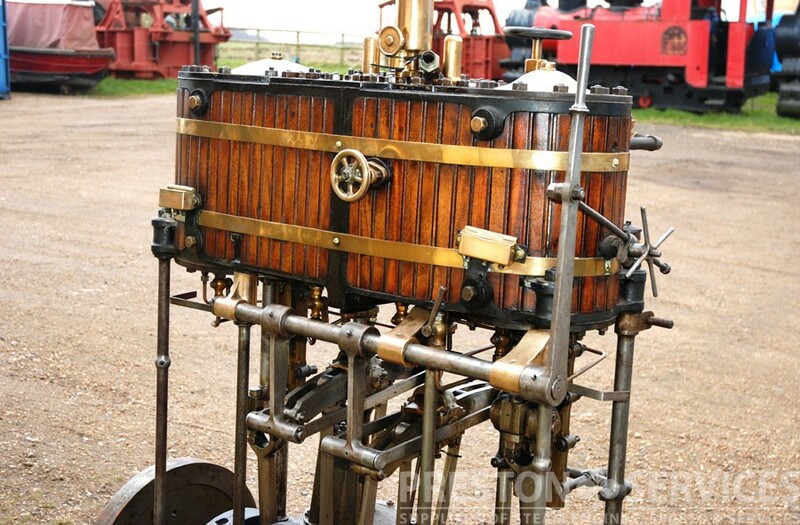 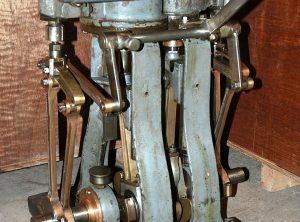 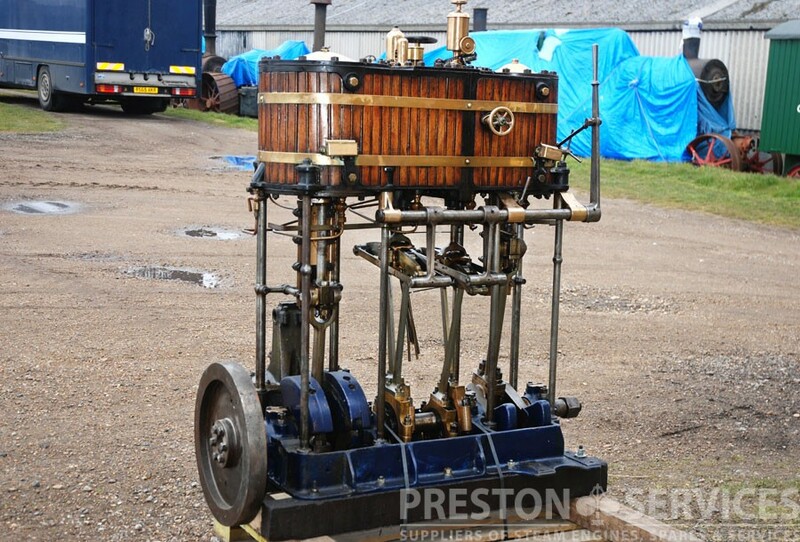 THIS ENGINE IS CURRENTLY UNDER RESTORATION..
Base 13″ x 13″, 21″ high overall. 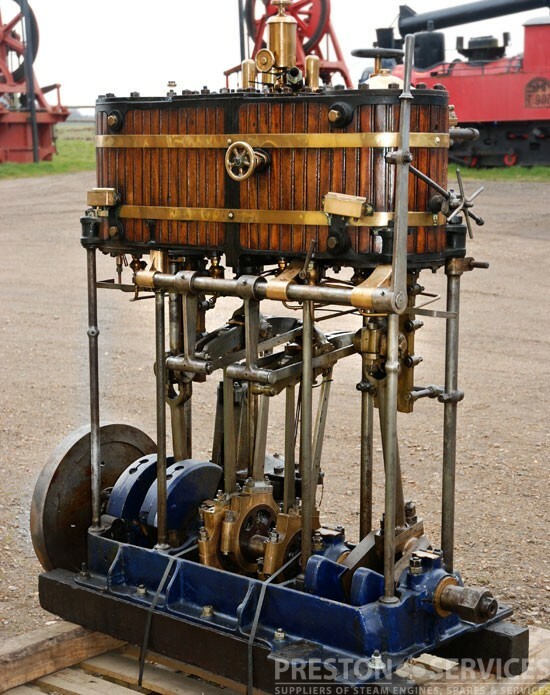 steam launch engine on four turned columns. 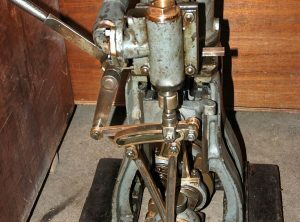 With a solid disc flywheel. 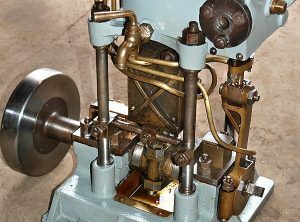 piston valved marine engine on four turned columns.